Starring: Ewan McGregor, Christopher Plummer, Melanie Laurent, Goran Visnjic, Kai Lennox, Mary Page Keller, Lou Taylor Pucci, Cosmo. 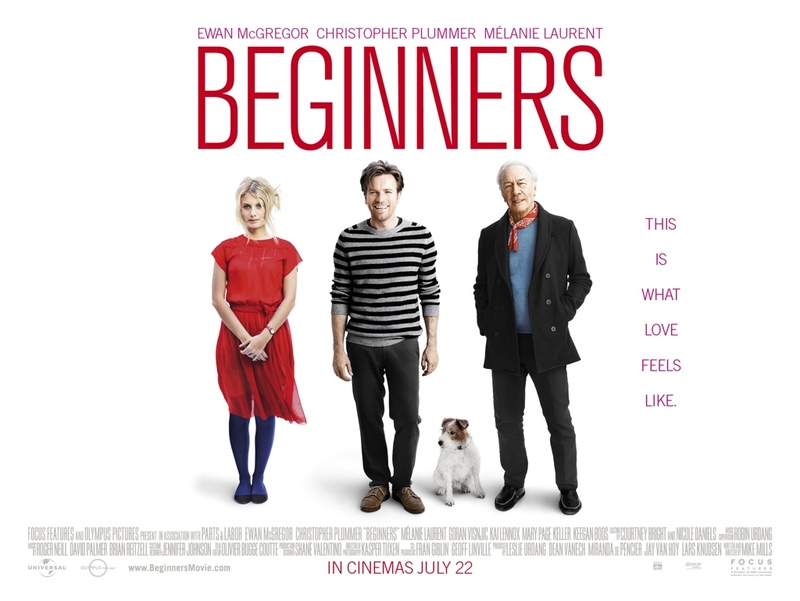 Writer/Director Mike Mills’ long awaited follow-up to his 2005 film “Thumbsucker” arrives with this independent emotional drama that has a similar sense for the off-beat that his previous outing had. This, however, doesn’t impress as much. 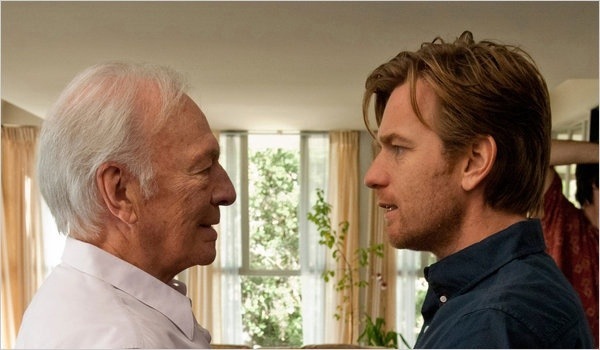 Oliver (Ewan McGregor) is a graphic artist that is coming to terms with the death of his father Hal (Christopher Plummer). In his time of grief, he embarks on a romance with French actress Anna (Melanie Laurent), while remembering the past of his parents’ failed marriage and when his father revealed that he was gay, and dying of cancer. I can’t honestly say that I was entirely drawn to this film upon it’s release. I only checked it out for Plummer’s Oscar winning supporting turn, of which, he made history by being the oldest actor to ever be awarded at age 82. The performances of McGregor, Laurent and Goran Visnjic are to be commended also though but Plummer does get the juicier role. As for the material itself, it was peppered with an original quirkiness that managed to just about see it through some periodic lulls. It was too slow for me but I have a suspicion that this might serve better on a second viewing. During my initial sitting though, I found it to waver and lose it’s momentum after the hour mark. Ultimately, it’s the zesty characters of Plummer and Laurent that keep the film ticking over and despite a good effort from McGregor, his character is a bit too dull and depressing to fully relate to. As it’s him that drives the story, the journey becomes somewhat repetitive. A semi-autobiographical and highly personal story from Mike Mills that has an obvious air of catharsis. It just doesn’t allow you to engage, as well as it should. This entry was posted on March 10, 2012 at 1:41 pm and is filed under Comedy, Drama with tags 2011. You can follow any responses to this entry through the RSS 2.0 feed. You can leave a response, or trackback from your own site. Nice review. Sad you didn’t like it so much. I loved this movie, and it definitely improved upon second viewing. Really liked the performances but mostly loved the writing. I can see why it would appeal Fernando and I even thought about holding off on my comments until I’d seen it again but the chances of me doing that, when I have so much else to get through, are slim. I loved Mills’ previous film though. And it wasn’t until I saw that for the second time that I realised how good it was. You never know, my review may be edited in the future. I liked this movie, especially the fact that it isn’t really so much about “being gay” as relationships in general. Random note…The dog from this movie should have had a feud with the dog from The Artist. Oscar spotlight stealer. I wasn’t overly impressed first time round. It had a lot going for it and maybe I’ll appreciate it more on a second sitting. As for the dogs… I think this one would win hands down. I even gave him a credit in the cast list. 😉 thanks for your comment.